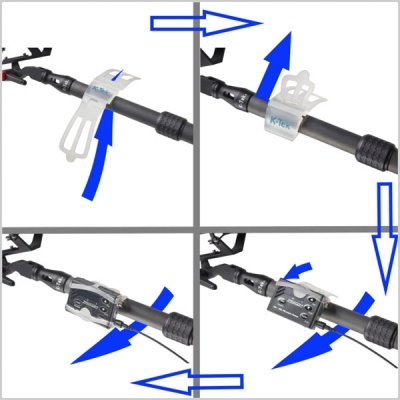 The Squid, a multi-purpose mounting solution to connect a transmitter, monitor, mobile device or remote to a boom pole, tripod, handgrip or other tube shaped object. Made of strong elastic silicone, the lightweight, (21g / 0.74oz) Squid solidly holds the device with a silicone barrier that shields equipment, acting like a shock absorber. Made of see-through silicone, the low-profile Squid lets the user easily view controls and status monitors. 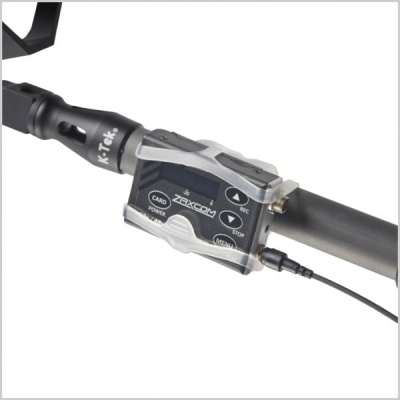 The Squid will hold mini-transmitters as well as traditional plug-on transmitters. 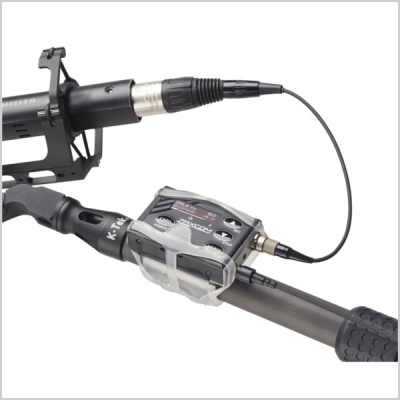 When transmitters are secured to a pole using the Squid, unwanted movement is eliminated. There are no metal parts to add weight to the end of the pole. 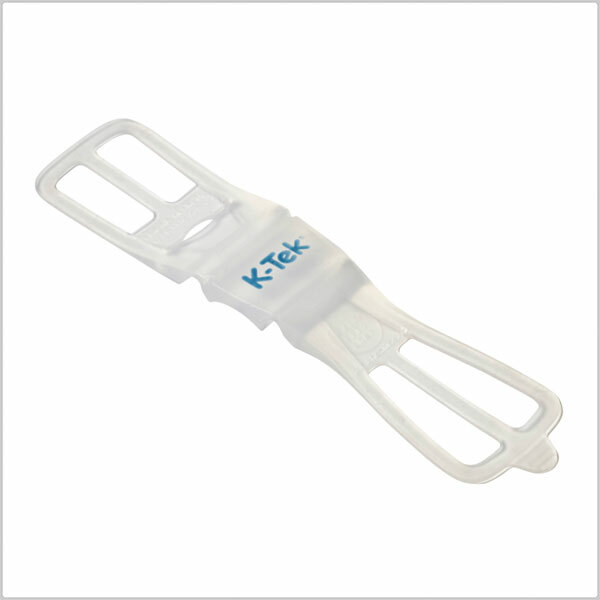 And the strength of the elastic silicone firmly holds the device even when swinging the boom. 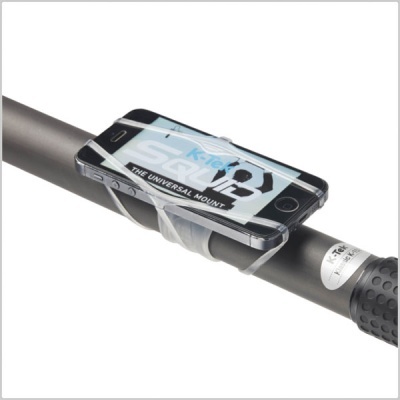 Another popular application is to attach an on-board viewing monitor or a mobile phone to the bottom section of a boom pole. Not just for boom poles, the Squid is an ideal accessory for an array of on-set needs and departments. It works with any tube shaped object like the legs of a tripod, the antenna mast, C-stands, handles on sound carts and more. In many situations, cameras with gimbals are finding their way to the top of boom and camera poles, creating drone-like shots without the risk, expense and permits associated with drones use. The Squid allows viewing devices and remotes to be easily attached to the bottom section of a pole, to help get that dynamic drone look. 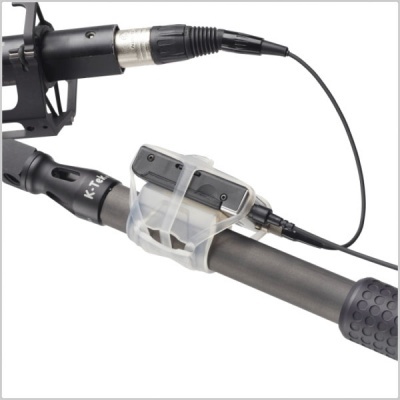 The Squid is an ideal tool for any boom operator, sound mixer or other crew on the set.